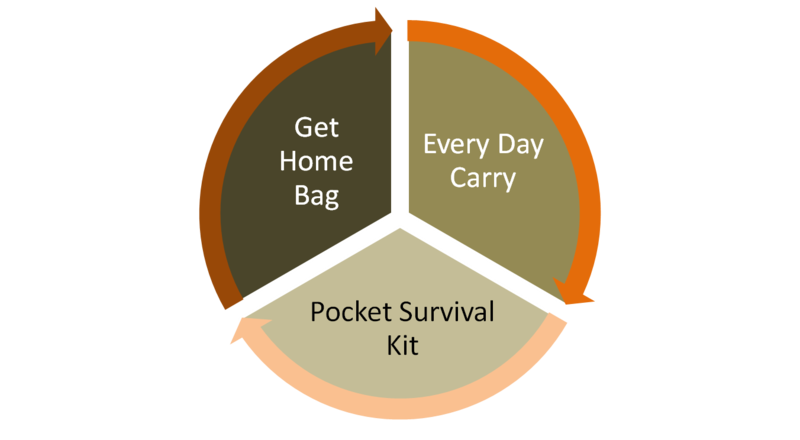 The purpose of the everyday carry bag is to get your home. It differs from your Bug Out Bag in that it is just the essentials. Bare bones, lightweight, designed for 72 hours or less. 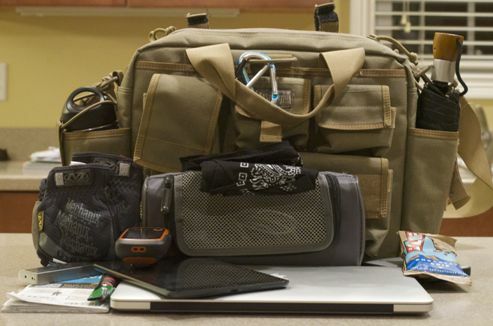 The temptation with your everyday carry bag is to load it up with gear. This may be possible for you if your everyday carry bag is within your grasp at all times. 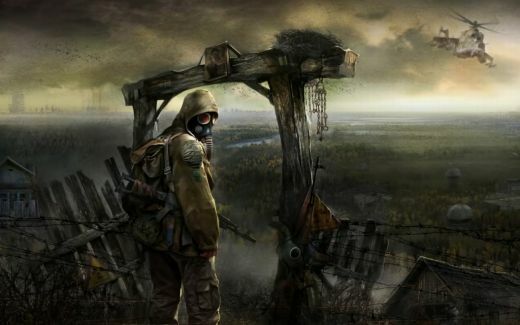 But imagine this scenario, you have your gear laden every day carry bag in your car and the SHTF hits the fan while you and your co-workers are across town at lunch or in a meeting. Everyday carry, to us, means all the time, within your reach. Accordingly it to should be stripped to the bare bones, just the basics as outlined above.